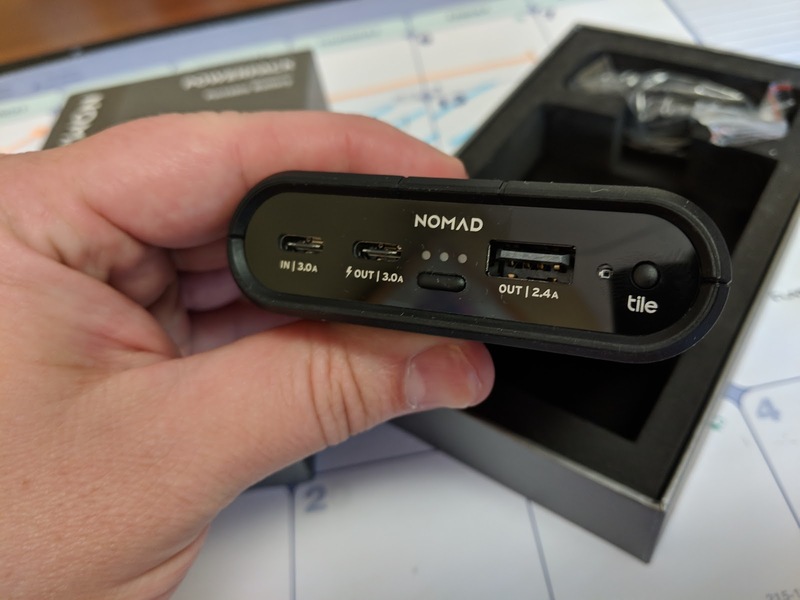 accessories Battery Charger nomad portable battery Review Tile Nomad PowerPack with Tile! So, I like to have power with me. Especially, when I was on my trip. Long time in the car to keep my son's devices charged. Out for a day walk about of tourist areas ... whatever. Knowing that I have power should I need it, is important to me. I just posted a little poll about your own 'tolerance' for when you need to have your battery charging. For me, if I see it in the 70s and there's a charger nearby, I'll charge it. I *KNOW* it can last all day and then some, just it's that sort of FOMO. Anyhow. What type of battery I take with me depends on where I go. 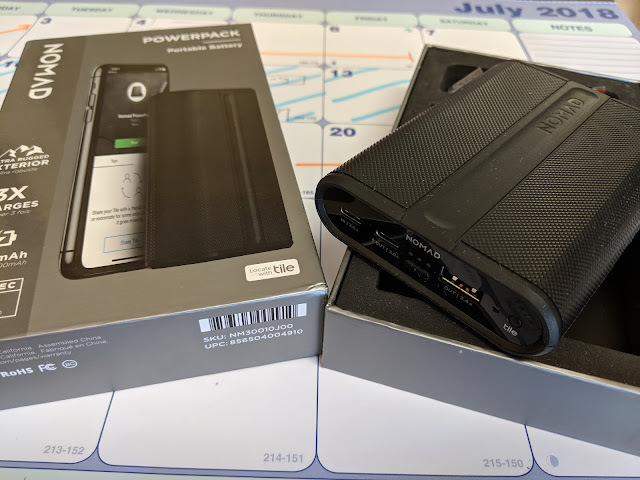 Today's review is going to be on the Nomad PowerPack. At 9,000mAh it's no slouch in the amount of juice it has in a small space. The price will be a bit of a shot at $119.95, oh and that's USD, so for us Canucks that'll be $156 and still with HST and shipping on top. But to 'account for that, this has a special secret up its sleeve. It's got Tile. Tile, and it's MIL-spec to protect it from dropping. So that's nice. The device has USB-C in, which is something I've been wanting for a while... almost no need for my microUSB cables now. It has USB-C out at 3.0A and USB-A out at 2.4A. They work like they should. (I've had a weird thing where plugging my Pixel 2 in the 3.0A it would charge what felt like very slowly, but the 2.4A would 'charge rapidly'). 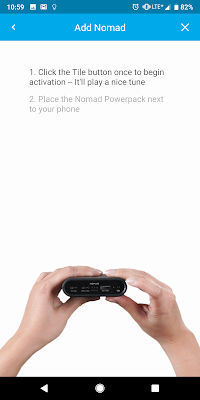 The 9,000mAh should get me just over 2 charges from my Huawei P20 Pro. When I took it on a band trip, I had it with me to keep me charged in the back seat and I got to the hotel after about 8 hours on the road (stops included) and it had only dropped a single dot. But the big advantage here is that this comes with Tile built in. I don't think we've ever really covered Tile on this site before but it's quite cool. So let's inspect this thing called Tile and how it really jumps the price on this battery. 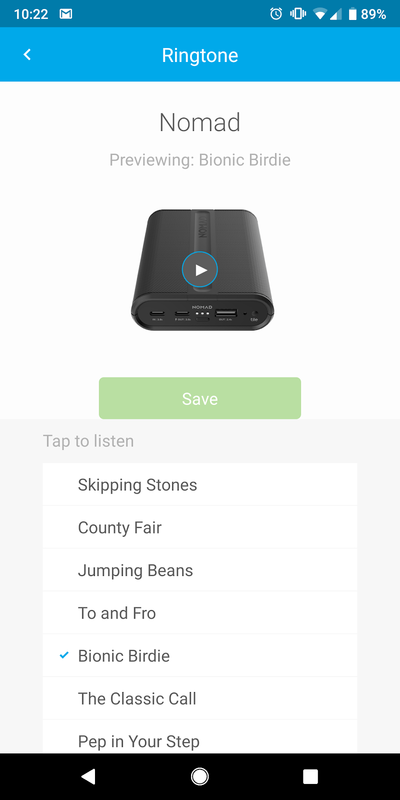 Essentially, Tile is a little Bluetooth receiver/transmitter. It's meant to be a small 'fob' that can be on a keychain or luggage. 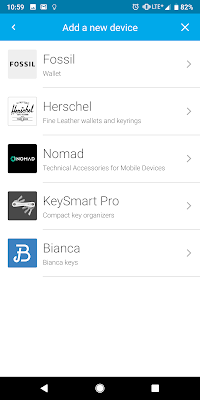 You then load the Tile app on your phone to pair them together and if you lose the fob, the app will cause it to 'ring'. The app will show where it was last known to be. You can also do it in reverse by tapping the fob and your phone will ring. 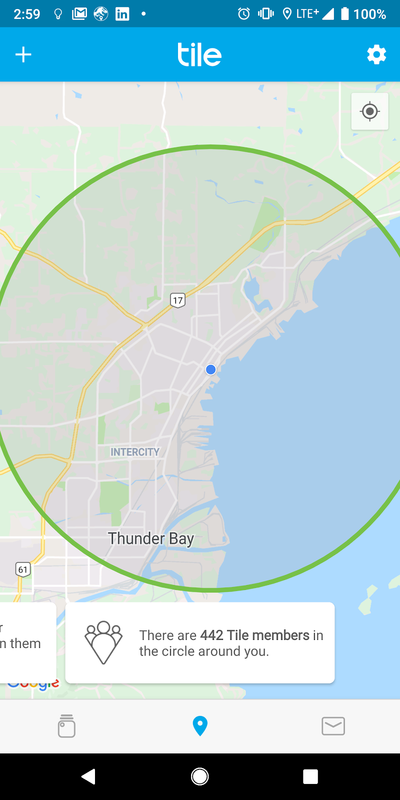 Even neater, is that in the case that it 'got away from you' every other person who has the Tile app is essentially scanning for it too... so if someone at the coffee shop has the app and your fob is there, you'll see where it is on the map. How does it work with the battery? 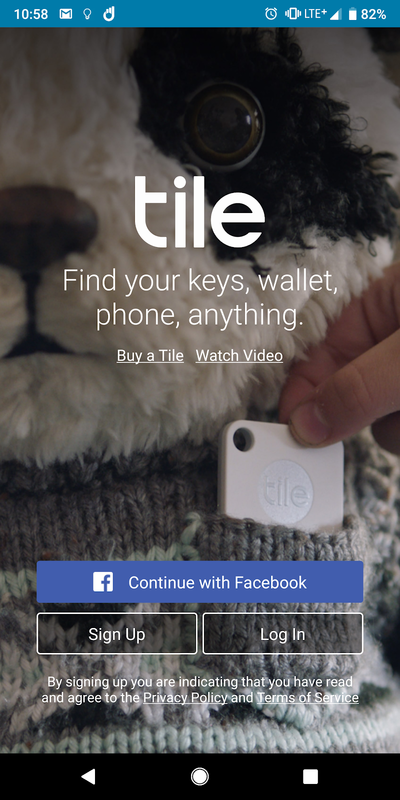 Well, from the app, you load up, and choose to add a new Tile. There's the option to choose the Nomad and it walks you through the steps to make sure they pair. 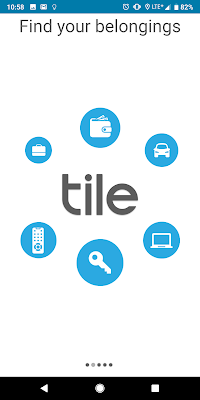 Once paired, your device is now a Tile itself and then you can see on the maps your items and how many other 'Tilers' there are. Except, I had to go through that pairing step a few times. You had to press the Tile button when the app asks, then bring the phone near. But it wouldn't recognize. Then you couldn't try right away as pressing the button wouldn't do anything. A minute or so later it would make some other beep noise and then I could try again. Loading the app up, I can tell it to find the battery and it rings. It needs to be within 100' or so, and hopefully not stuffed in a drawer or covered with a ton of dirty laundry. What's fun is that it plays a bit of a funky tune, and you can select from a few different kinds. Now, have I run into a spot where I really couldn't find it? No. Is it a bit of an insurance ... something you have to assuage fears and have peace of mind. Is it worth the price jump? 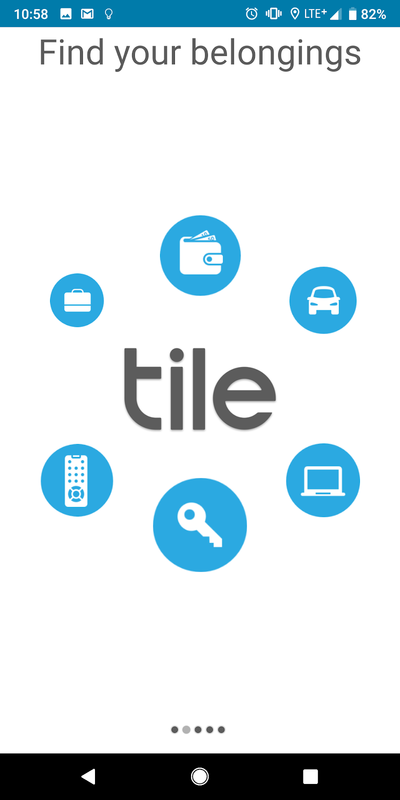 A typical Tile will be about $30USD. So is this a $90USD battery? No (I'd put it about the $50-$60 value level). But you have to think about it as it's bundling some of these things into one. Still, I think it's a bit high, this might be something you would have to 'need' before you shell down the cash. But I have to say, I really do enjoy the USB-C input.